Okay, so I had this brilliant idea to do some freezer cooking each night this week as I cooked dinner. I normally double meals or set aside a little time in the morning when my brain is working to do my cooking for the freezer, but I decided to switch up my routine. Well, let’s just say that things didn’t go as planned. 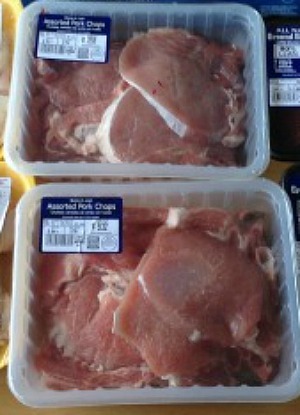 My plan was to cook pork chops (purchased last week) for dinner that night and while they were baking in the oven to quickly make some Freezer Waffles. I took the meat from the fridge and when I opened the package a horrible stench assaulted my nostrils. Problem #1: The pork chops were spoiled, so on to Plan B.
Thankfully I had bacon and canned biscuits on the menu for another night so I quickly covered my baking pan in foil to use our Oven Baked Bacon Method here and had my 13 year old place the bacon on the pan. She wanted to help with the waffles so I had her start adding the dry ingredients to the mixing bowl. Problem #2: She got flour EVERYWHERE. I was not in the mood for a clean up and told her so in a very irritated voice. 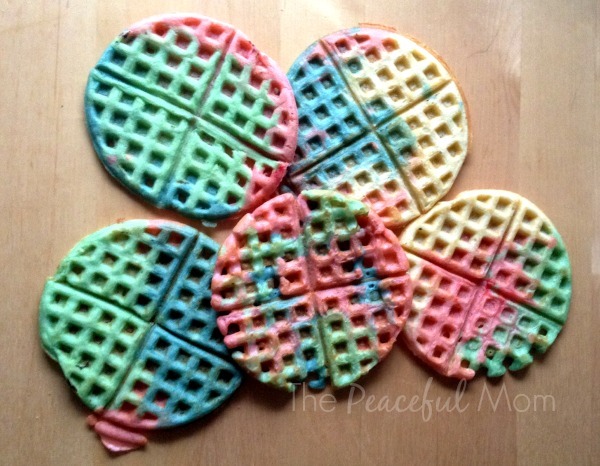 After we got that mess cleaned up she suggested that we make Tie-Dye Waffles. I reluctantly agreed – half from mom guilt about being irritated with her and half from my internal pressure to “be a good mom”. And suddenly I realized that my “quick” freezer waffle session was not going to be so quick after all. Notice the missing red food coloring bottle. Problem #3: Red food coloring bottles with leaks lead to kitchen disasters of epic proportions. Sorry, no photo – I was too busy trying to remove the red dye from practically every surface in my kitchen. 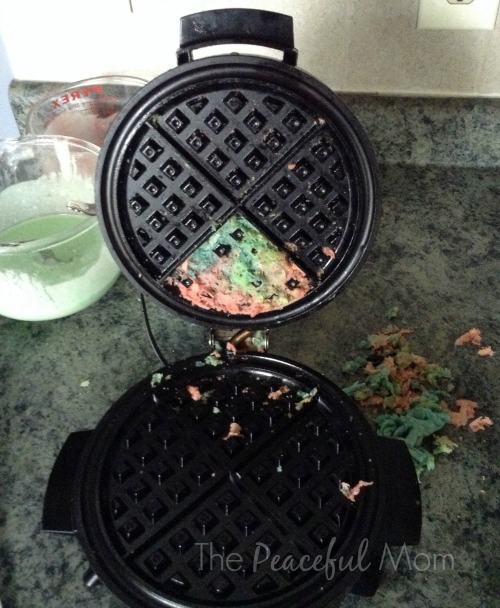 Problem #4: BOTH sides of the waffle iron must be sprayed with cooking spray so that the waffle doesn’t stick. This is only a small bit of the disaster I created. I had already scraped most of it off when I decided that I should take a photo and by that time my daughter had eaten most of the waffle I had scraped off. Following the stuck waffle fiasco my daughter accidentally knocked a brand new jar of strawberry jam onto the tile floor of the kitchen. Problem #5: Jelly and broken glass make an interesting combination when trying to clean. We were at least able to get several waffles in the freezer. Undaunted by my previous kitchen disaster I planned yet another “fun” night of freezer cooking during dinner. My plan was to place the Spicy Chicken Thighs in the oven for dinner and while they cooked I would brown the 15 pounds of ground beef that I had just purchased, brown one pound of pork sausage, make scrambled eggs and assemble breakfast burritos for the freezer. I had chopped a bunch of red onions earlier in the day so I at least saved one step. Because there was so much going on I asked my 16 year old to be in charge of cooking the pasta we would eat with the chicken and some steamed veggies. When the pasta was done she grabbed the pot to drain it into the colander in the sink only she had forgotten to put the colander in the sink. 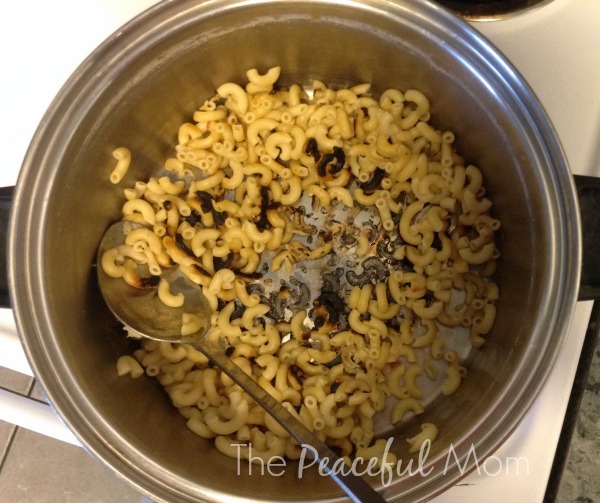 Problem #1: When my daughter turned to put the pot back on the stove she hit the pot on the microwave spilling pasta and hot water on her foot. She tried to jump out of the way but slipped on the water on the floor and landed hard on her hip on the tile. Ambulance lights flashed before my eyes and I just knew that she had broken several bones and suffered serious burns from the boiling water, but miraculously she walked away unburned and with only a serious bruise on her hip. After I made sure that she was okay I started cleaning up the mess and I was happy to see that there was some pasta left in the pot that we could salvage. I drained it and placed it on the stove and asked my 13 year old to start the water boiling on the back burner to steam the veggies. Guess who turned on the wrong burner? Needless to say, there was no freezer cooking accomplished and we were lucky to have dinner. I will let you know if I recover from the trauma and try freezer cooking at dinnertime again… but don’t count on it. Thanks for your encouragement Lynee! Yes, it’s good to remember to be grateful for all of the good things, isn’t it? So…what did you do? Did you order out for pizza? Lol! No, we ate the chicken and veggies without the pasta and no one complained because they knew that they were lucky we didn’t burn the kitchen down – haha! I am in TEARS this is sooo hilarious and very much like my life! Thanks for chronicling the disaster! Many blessings! And it seemed like such a great idea…prepping freezer foods while fixing dinner! Who knew it was going to be a full contact sport! And, oh yeah, forgo the “helpers”. Seriously glad no one was hurt badly! Yes Alycia! 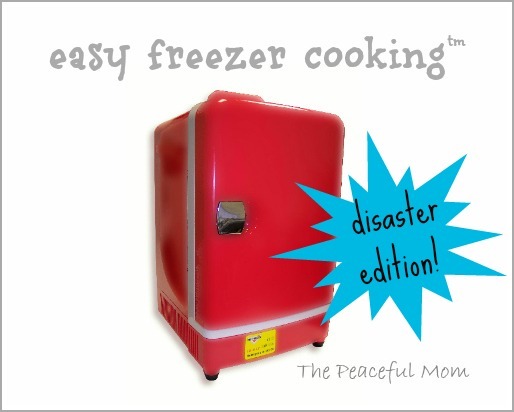 I vote for Breakfast Freezer Cooking – an alone! Ha! Thanks for your encouragement Kristine! I don’t think that many things would have happened in a movie because it would be too unbelievable -haha! LOL!!!! thank you…. im not alone in my disasters. Im glad your kids attempted to help and that they were not seriously injured, On that note, this is exactly what i needed to read at this moment. made me chuckle a bit. I too would not allow myself the patience at dinner time to allow our 11yr old and 3 yr old in the kitchen to help but would say yes to them in an attempt to be Hero Mom. This was a funny read. Thank you for sharing your experiences with us. Yes, we will definitely have fewer people and fewer dishes we are attempting next time! It happens to all of us!!! Thanks for sharing this “real life” story! A few nights ago I tried to make chili by using dried beans, only I didn’t have time to soak them over night. It was sooooo gross I had to throw out the whole pot of chili. Thankfully I had some frozen tilapia for backup or we would have been eating cornbread and jelly! I guess freezer cooking may be best done at a different time. I’m glad nobody was hurt. I applaud your efforts at planning ahead. 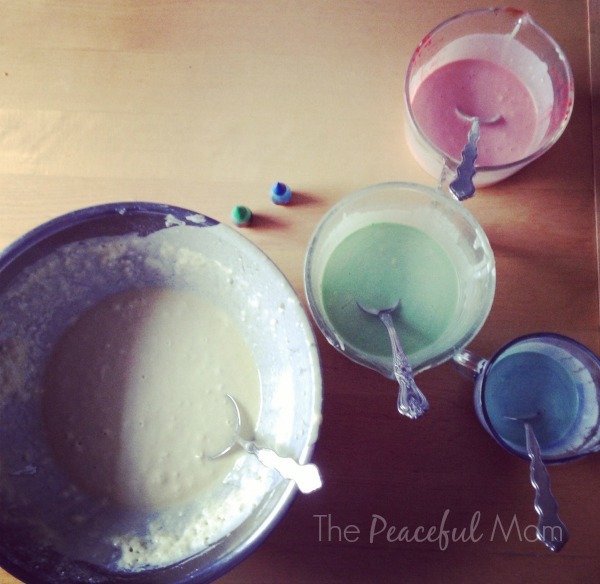 Our simple life goes crazy starting next week… All activities start up again… and I keep finding something else to do besides combing through easy crackpot recipes that I know will make life sane. I think you are right Jennifer. I am obviously not a multi- tasker – haha! And the moral of the story is…cooking is dangerous! Order in. 🙂 Glad everyone is ok! I love stories like this, because I have so many of them myself. Thanks for sharing!